The most popular size pliers, these curved nose models help get at hard to reach hooks. 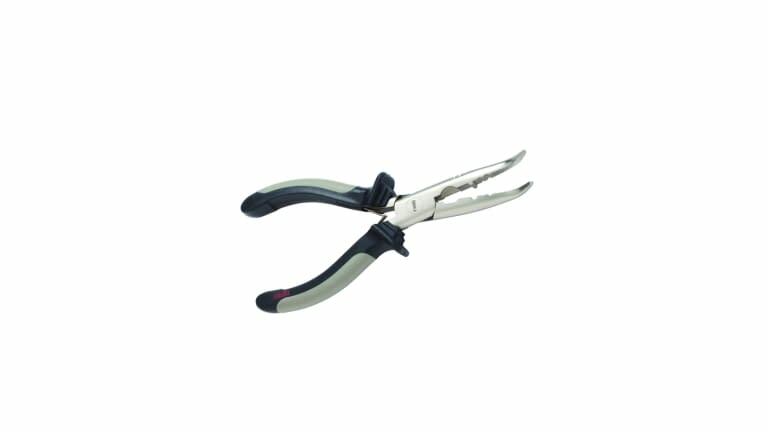 Nickel plated carbon steel they include split shot crimper, a side cutter and a double leaf spring for easy, one handed operation. Also includes handy Patented Rapala lure tuning tool. Length: 6.5"